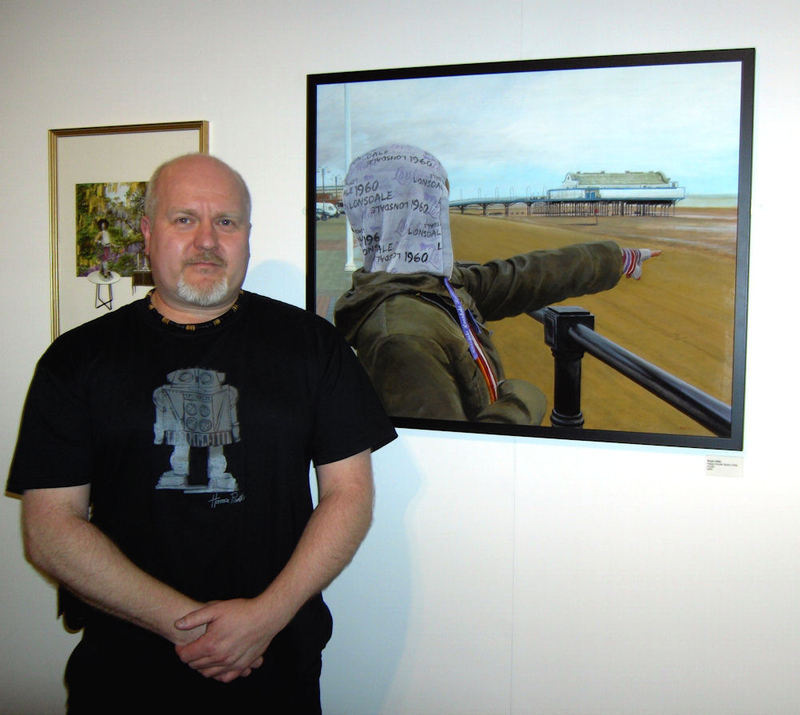 I am very pleased to announce that my painting 'Happy Hoodie Spots A Ship' won the Richard Attenborough Award at Leicester Museums And Galleries Open 24 exhibition. It was a joint win with a great photograph by Mark Russell so this year the prize was split between the two winners. The painting also won the inaugural 'Leicester Museums Trust Purchase Prize', which means that the piece is being purchased for their permanent collection! The exhibition is a great, diverse showcase of work from artists across the Midlands and is well worth a visit. the show runs until 7th April. As well as the winning piece I have two other works on show.